"Till death do us part" – for marine bristle worms, these words are invariably true: Shortly after mating, the parent worms die, leaving thousands of newly fertilized eggs to develop in the water. This extreme all-or-nothing mode of reproduction demonstrates a general principle: Animals need to decide if they invest their available energy stores either in growth or in reproduction. 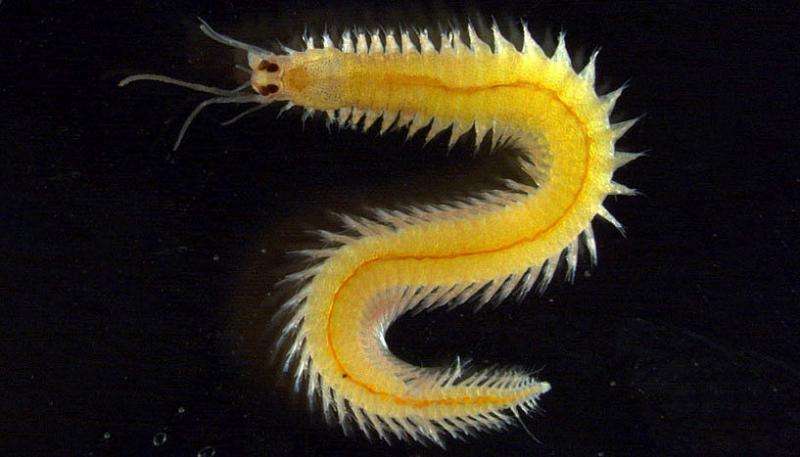 Researchers around Florian Raible at the Max F. Perutz Laboratories (MFPL) of the University of Vienna and Medical University of Vienna were now able to solve a 60-year-old riddle and determine the molecule that orchestrates this decision in marine bristle worms. Their results are published in the journal eLife. All organisms need energy, but sources of energy such as food are usually available in limited quantities. Animals therefore need ways to decide on how to best invest their resources. Reproduction is often associated with significant investments, especially when animals produce large quantities of offspring, at the expense of their own growth or well-being. Animal species with an all-or-nothing mode of reproduction have evolved this principle to an extreme: when they reproduce, they invest all available energy into their offspring and then die. For them, reproduction hence becomes a life-or-death decision. The research team of Florian Raible investigates the molecular signals that allow animals to take this central decision. For this, the team takes advantage of the marine bristle worm Platynereis. The brain of these worms had long been known to produce a master hormone that decides on whether the animal should grow, or reproduce and die. The researchers were now able to identify this hormone as the molecule Methylfarnesoate (MF). 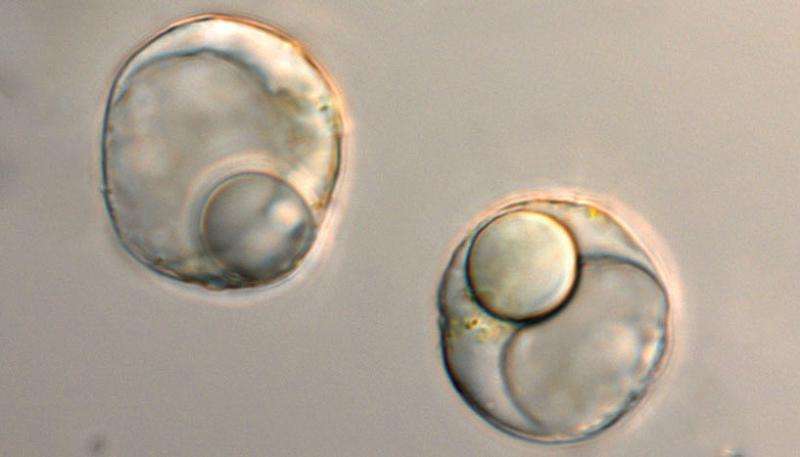 The hormone was found to directly repress the production of yolk protein in female worms, thereby interfering with an energy-costly step of reproduction. "Identifying MF as a master hormone in the worm brain came as quite a surprise", explains Sven Schenk, first author on the study. "MF and related substances had previously been thought to have evolved only in insects and related animal groups. So our discovery that this substance acts in worms means that this is likely anancient type of hormone that originated much earlier in animal evolution than anyone would have thought." But the discovery also revealed a possible ecological threat: As substances like MF were long thought to be specific to insects, many insecticides have been developed to precisely target this hormone pathway. These include the insecticides currently used on a large scale to fight the tiger mosquito, the animal known to transmit Zika virus. When the team tested these substances in the lab, they turned out to interfere with the hormone signaling of the worms as well. "That finding is concerning", Sven Schenk explains, "because it indicates that after spraying these substances, they may have a wider impact on the ecosystem than intended." The researchers will now focus on determining how widespread this hormone is in other animal groups related to the worms, such as snails or mussels, to get further insight into its role in the animal kingdom. But the team also has another interest. As Florian Raible explains: "The marine bristle worms are long known to respond to moon light and to reproduce only at particular times in the month. Having identified a critical regulator of reproduction, we and our colleagues from the research platform 'Rhythms of Life' are therefore one step closer to decipher how this intriguing timing mechanisms works." To identify the hormone, the team used funds provided by the European Research Council (ERC) and the Austrian Science Fund (FWF). The discovery also relied on the collaboration with the team of Christoph Gerner from the Analytical Chemistry Department. This collaboration was enabled by the interdisciplinary research platform "Rhythms of Life" that is funded by the University of Vienna.